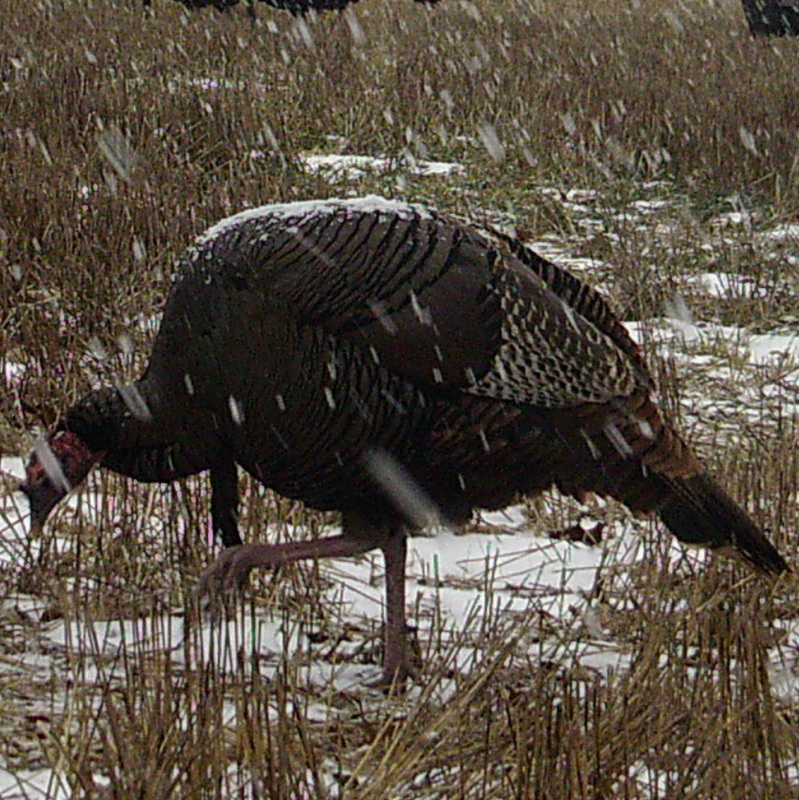 Wild Turkey season is coming April 16, 2014 to Wisconsin. 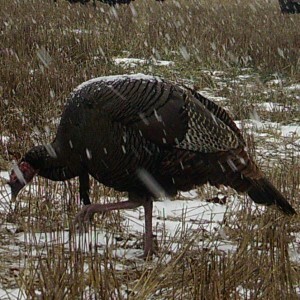 For those of you who didn’t apply for wild turkey license, see the leftover permit availability in Wisconsin. It’s really quite amazing how well the wild turkeys have made a come back since re-introducing them in 1976 to becoming a game bird in the 1983. Now you can find them all over the state and not just in the remote areas either. We have them in Waukesha and Racine counties regularly too. They may not be the most beautiful bird in the world, but they are funny. They walk funny, sound funny and do funny things. Calling jakes in during the breeding season is great entertainment. They come running to the sound of that hen like their tail feathers are on fire. It looks like this year might be a bit cold and who knows whether early season hunters will be wearing white, brown or green to bag their turkey.